Conventional wisdom holds that if we work hard we will be more successful, and if we are more successful, then we'll be happy. But recent discoveries in the field of positive psychology have shown that this formula is actually backward: Happiness fuels success, not the other way around. In The Happiness Advantage, Shawn Achor fixes this broken formula explaining how we can reprogram our brains to become more positive in order to gain a competitive edge at work. Traditionally, most people are taught that if they work hard, they will be successful; once they are successful, they will be happy. 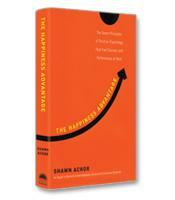 In The Happiness Advantage, human potential consultant and former Harvard professor Shawn Achor argues that the conventional wisdom is backwards. In fact, people who start off happy are more likely to succeed; people who start off unhappy are more likely to fail. This conclusion comes from Achor’s own studies at Harvard as well as from supporting research from around the world — more than 200 scientific studies on nearly 275,000 people, to be precise. Achor is a proponent of positive psychology, which, unlike traditional psychology, draws lessons from successful people rather than the failures. Thus, his research included an empirical survey of 1,600 high achieving undergraduates at Harvard. In The Happiness Advantage, Achor presents seven principles of happiness and success based on the research and his experience consulting companies around the world. 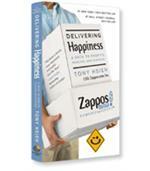 The first principle is also the title of the book: The Happiness Advantage. This principle says that people who are happy have a psychological advantage over people who are unhappy. One way to test this is through studies over time. For example, college freshmen who were empirically shown to be happy had a higher income 19 years later than their unhappy classmates. Other experiments showed that happiness led to more creativity and greater vision. The second principle, The Fulcrum and the Lever talks about the power of the mindset. The name of the principle comes from the ancient Greek mathematician Archimedes who said, "Give me a lever long enough and a fulcrum on which to place it, and I shall move the world." In Achor’s principle, the fulcrum is the mindset of the person; the length of the lever corresponds to the potential power and possibility that person believes he or she has. If someone moves the fulcrum in the right direction by adopting a more positive mindset, the lever of possibility lengthens, which leads, as empirical studies have shown conclusively, to an eventual positive outcome. The Tetris Effect: How to retrain your brain to spot patterns of possibility rather than patterns of failure. Falling Up: How to find the mental path out of failure. The Zorro Circle: In the face of overwhelming odds, how to fight off emotions and regain control by beginning with small manageable goals. 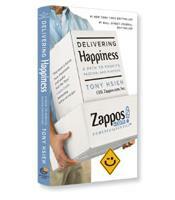 There are scores, perhaps hundreds, of happiness, success and human potential books published every year. The Happiness Advantage, however, stands out from the crowd because it is built on solid and exhaustive science. Readers will be constantly surprised at what they find within these pages — how, for example, most of the people who were told that their arms were being rubbed with poison ivy actually developed poison ivy, even though the plant was completely harmless. Read this book. Then take a deep breath and be happy.